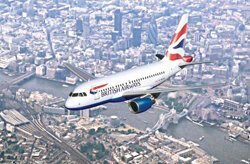 British Airways is to standardise on the Informatica data integration platform to deliver timely, trusted and relevant data across the organisation. Ian Johnston, IT operations manager at British Airways, said: "For the past six years, Informatica has been British Airways' platform of choice to tackle data integration challenges. The Informatica Platform provides our airline with a high-availability, high-performance integration capability which supports greater efficiency, compliance with industry and government regulations, and improved responsiveness to industry changes. The airline recently completed its merger with Iberia, which has seen the departure of BA CIO, Paul Coby. Informatica is used in the crew scheduling system, where it helps ensure the crew is correctly assigned for their flights around the world and the cabin crew members operate within their flying hours. The system supported British Airways when it needed to react very quickly to crew changes brought about by the Icelandic volcanic disruption and the severe weather conditions in the UK in 2010. The Informatica Platform is also used for predictive analytics, where it pulls data into the British Airways integrated commercial warehouse (ICW). The ICW is used to make decisions associated with activities including ticket sales, flight schedules, aircraft engineering, the Executive Club frequent flyer programme, flight punctuality and marketing campaign management. The Informatica platform has been upgraded to a grid computing architecture, which is being used to improve scalability and reduce the administrative overhead of supporting its multi-node grid environment.